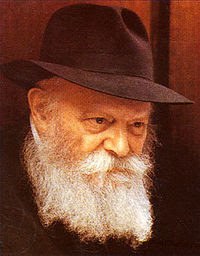 I recently discovered (hat tip, my friend Neil) that Benjamin Netanyahu, the current Prime Minister of Israel had an audience with the Lubavitcher Rebbe (ztz"l) Rav Menachem Mendel Schneerson, twenty-five years ago, when he was Ambassador to the United Nations. The Rebbe ztz"l spoke with him for 40 minutes, and told him that when he speaks to the United Nations, a bastion of lies and eternal darkness, he should always "light one candle of truth." In this video (video is in Hebrew with English subtitles) Netanyahu is speaking with the Israeli media who asked him if he thought he had legitimized Ahmadinejad, the president of Iran, by addressing the issue of the Holocaust. Bibi is telling the interviewer about his meeting twenty-five years ago with the Rebbe and what the Rebbe told him to do; and how telling the truth repeatedly with dignity and strength transcends time. Dan-IUN: I remember. 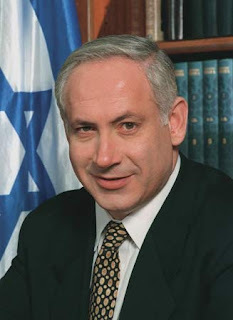 I am hoping that Netanyahu will change his stance this time around (because Feiglin isn't PM...yet).